Doors Open Toronto 2017 provides a wonderful opportunity to visit those buildings that you take for granted, the buildings you pass by on the way to work or school that you may wonder about for a fleeting moment. Doors Open Toronto is a time to stop and smell the roses, or at least to stop and appreciate the great architectural gems we have in our city. 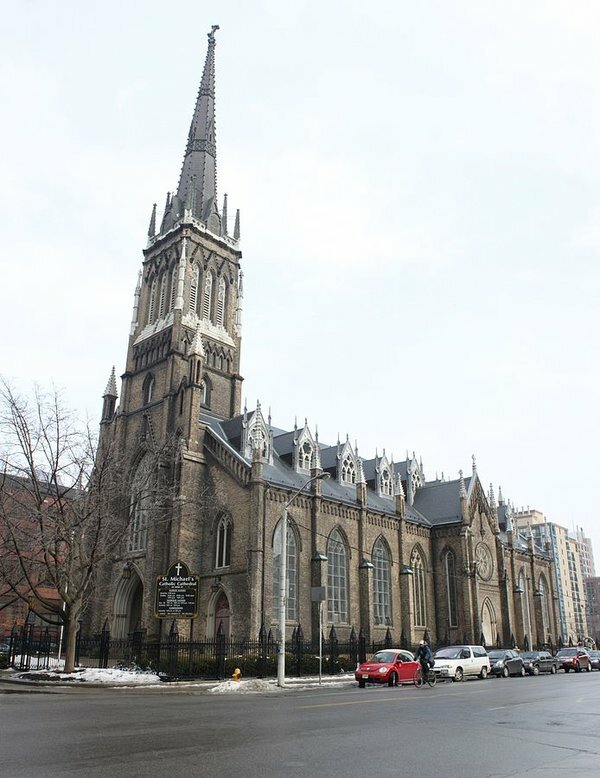 The church of the Archdiocese of Toronto, which was built in 1848 in the Gothic style, will be open for Doors Open Toronto 2017 on Saturday, May 27 from 2 p.m. to 4 p.m. and Sunday, May 28, 2017 from 1 p.m. to 4:30 p.m. The church underwent a major restoration and was reopened in September 2016. You will be able to visit the main floor, the balcony, partial access to the lower level Crypt Chapel and the sacristy. The new MOCA is now under construction at the Tower Automotive Building at 158 Sterling Street in Toronto’s Lower Junction district. At the time of its building, the Tower Automotive Building was the tallest building in Toronto and had one of the first elevators in Canada. MOCA will be open for Doors Open Toronto on Sat., May 27, 2017 from 10 a.m. to 4 p.m. This is an active construction site so visitors will require protective equipment including high visibility vests, goggles, steel-toe boots and construction hats. Wear long pants, no tank tops. Please bring your own steel-toe boots if possible. Pre-register for the Doors Open Toronto tour here. If you’re fascinated by churches as I am, you’ll want to visit St. Andrew by-the-lake Anglican church on Ward’s Island during Doors Open Toronto. The Masseys and the Gooderhams, who used to summer on the Toronto islands, assisted in the establishment of the church in 1884. The church’s wood exterior was built in the Gothic style while the interior is Victorian. 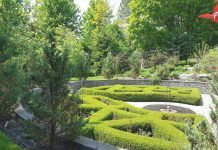 The church has an active congregation of parishioners living on the Toronto islands and in the City of Toronto. The church’s rector conducts the annual blessing of the boats in the lagoon beside the church. St. Andrew by-the-lake is open for guided tours on Saturday, May 27 and Sunday, May 28 from 10 a.m. to 5 p.m.
Once the Metro Theatre, the building at 677 Bloor Street West is now Basecamp Climbing, a rock climbing gym. Basecamp Climbing will be open for Doors Open Toronto on Saturday, May 27 and Sunday, May 28, 2017 from 10 a.m. to 5 p.m. Watch live rock climbing or enjoy one free climb on a first-come, first-serve basis (must sign a waver). I usually get to see this grand old dame at Christmas when I attend the St. Michael’s Choir Concert. This concert hall brings with it, not only stunning Victorian architecture, but an amazing heritage of performances. If you listen carefully, you may hear the sounds of Maria Callas, George Gershwin, Glenn Gould, Bob Dylan, Billy Joel, Gordon Lightfoot, Oscar Peterson and Luciano Pavarotti, all who have performed there. 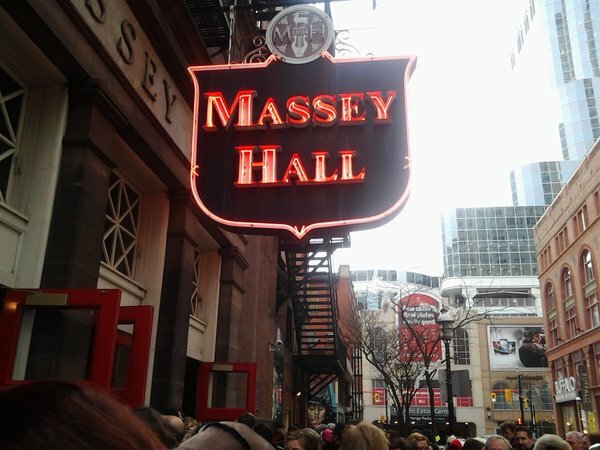 Massey Hall will be open for Doors Open Toronto 2017 on Sunday, May 28, 2017 from 10 a.m. to 5 p.m. You’ll get to stand on the stage and have your picture taken for free by a professional photographer and review the concert hall’s documents and artifacts at the Centuries Bar on the lower level. Originally built for the athletes of the Pan Am and Para Pan Am Games, the Cooper Koo Family YMCA is now a recreation facility with a green roof, two swimming pools, an indoor track, weight room and cardio machines. Serving the eastern Toronto community at Cherry Street and Front Street, the Cooper Koo Family YMCA will be open on Saturday, May 27 and Sunday, May 28 from 10 am. to 5 p.m. for Doors Open Toronto 2017. Visit during Doors Open Toronto for free classes including green roof yoga, green roof cardio, family gym time, music and movement. There’s a new cultural hub located at 39 Queen’s Quay East, ArtHub27, that will be open during Doors Open Toronto for family friendly programming. 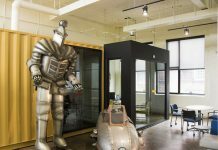 The hub is home for four cultural organizations. Guests can engage in art marking with The STEPS Initiative and tour No. 9 Contemporary Art and the Environment Design studio. You can also participate in a sustainable city building workshop. ArtHub27 will be open Saturday, May 27 and Sunday, May 28, 2017 from 1 p.m. to 5 p.m. 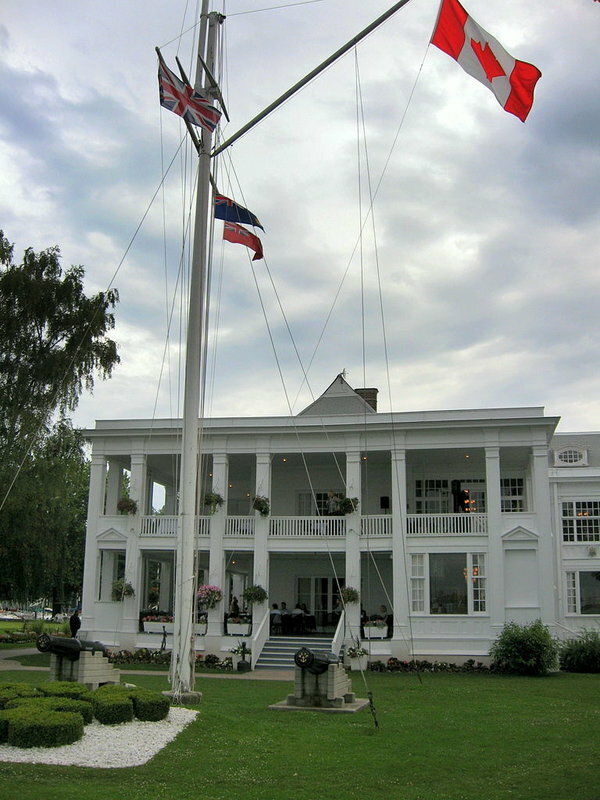 The Royal Canadian Yacht Club at 2 Chippewa Avenue on Centre Island will be open for Doors Open Toronto 2017 on Saturday, May 27 and Sunday, May 28, 2017 from 10 a.m. to 5 p.m. 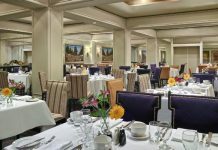 The clubhouse was built in 1922 in the Revival style and features elegant rooms with a collection of paintings, prints, models and trophies and a second floor ballroom. No pets allowed on tour. I look forward to Doors Open every year. I can’t wait to see all the awesome spots Toronto has to offer.